The future abhors inaction. It steamrolls over indecision. It eats missed opportunities for breakfast. That’s because it will happen, whether you like it or not. I think we live in one of the most fascinating times ever in human history, with so many opportunities from so many trends. Yet through my events, I continually encounter those who talk a great game, but who never follow through.They find excuses as to why they shouldn’t be doing it right now. Or, they become so overwhelmed by the thought of actually doing what they want to do that they become frozen in position, unable to act. Action is oxygen. Focus on that. Breathe deeply. Twitter. What's on Jim's mind? Check his feed! 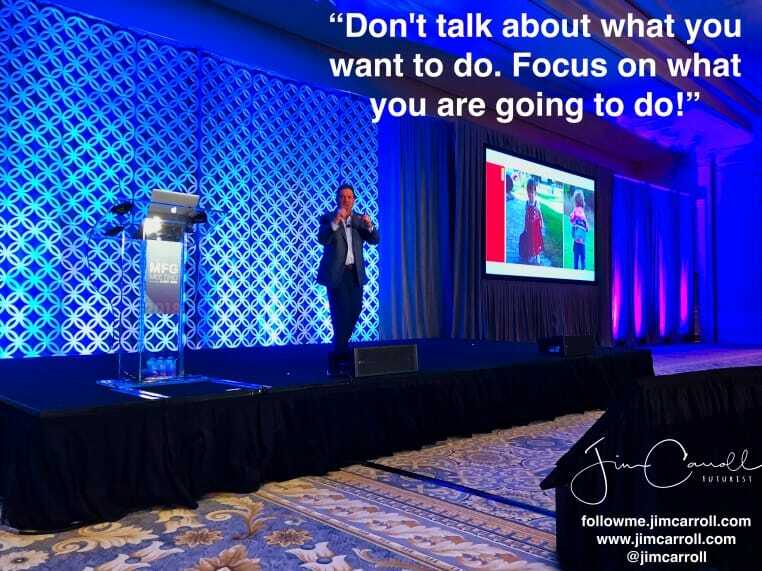 LinkedIn - reach out to Jim for a professional connection! Flickr! Get inspired! A massive archive of all of Jim's daily inspirational quotes! Instagram - the home for Jim's motivational mind! covers issues related to creativity, innovation and future trends. emailed direct to your indbox everyday?